*For best results, image(s) should be a minimum of 700 x 700 pixels and submitted in one of the following file formats: .JPG, .TIFF, .GIF, or .PNG. By checking the box below, I acknowledge that I own the image(s) submitted, or have written permission from the copyright owner to use the images within the Conestoga Valley Little League (CVLL) program. 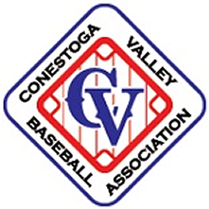 This includes the printed version, distributed to all players and sponsors on Opening Day, and electronic version, published to the CVLL web site. I understand that the image(s) may be modified to be used as design elements, and hereby waive the right to inspect or approve the images prior to any form of usage. I authorize the Conestoga Valley Little League to use the image(s) and release all claims for compensation.